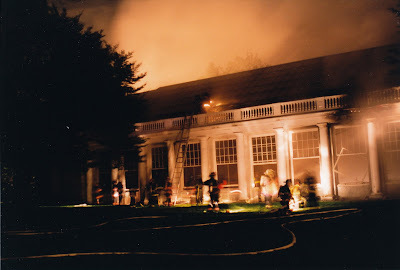 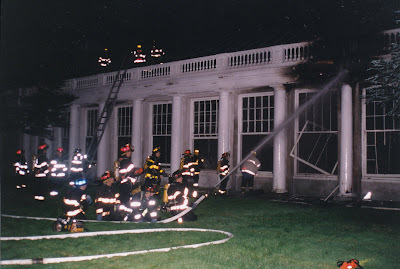 11 years ago this month, the James O'Connor designed sunken indoor tennis court (click HERE for more) that is part of William Russell Grace Jr.'s 'Crossroads' estate in Old Westbury caught fire. 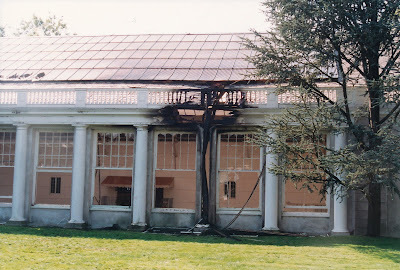 The owners of the house were doing some kind of work inside the building and about 4 hours after the construction workers left, one of the columns caught fire. 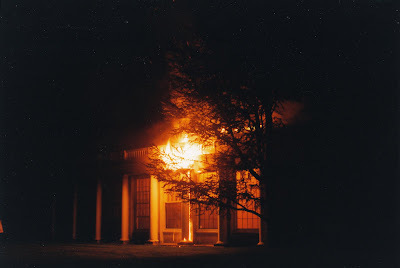 A small glow was noticed from the outside of the building, something that was clearly not normal. 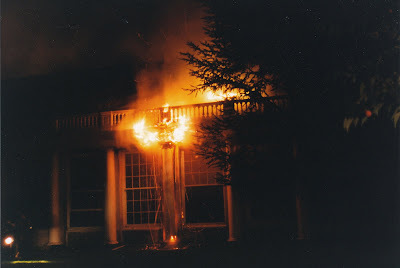 The fire was discovered, thankfully in enough time to keep the damage minimal, but the following photos show the relative chaos that ensued trying to get it under control. 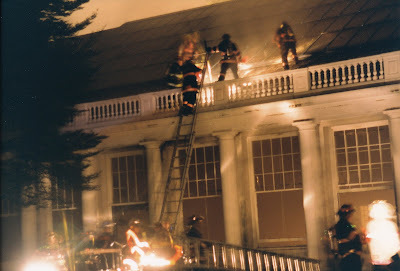 The original glass roof was smashed by the firemen on the left side and warped by the heat on the right side. 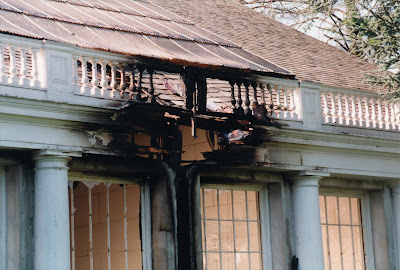 All the windows were smashed and every piece of glass had to be replaced.